SpaceCraft рецензии 2019 - Защо 4.4 звезди? Whether you are a developer or a Do-It-Yourselfer with zero coding skills, SpaceCraft offers an extensive set of awesome customization tools to give you the freedom to design your website to your personal tastes and style. SpaceCraft Offers Incredible Features and Seamless Third-Party Integration That May Well Justify the Premium Pricing. SpaceCraft only recently made its way into the market and is already turning heads with its easy to use and code-free interface for building blogs, portfolios and business websites. This site builder is serious not just about simplicity and intuitiveness but about functionality as well. The interface can be switched from Content Mode to Design Mode so you can easily update the content without interfering with the design and vice-versa. You will not find hundreds of templates here, but the many opportunities for design customization compensate for the lack of variety. From beautiful fonts to background images, layout options, and parallax scrolling, the design tools at your disposal let you create a website that is uniquely yours. 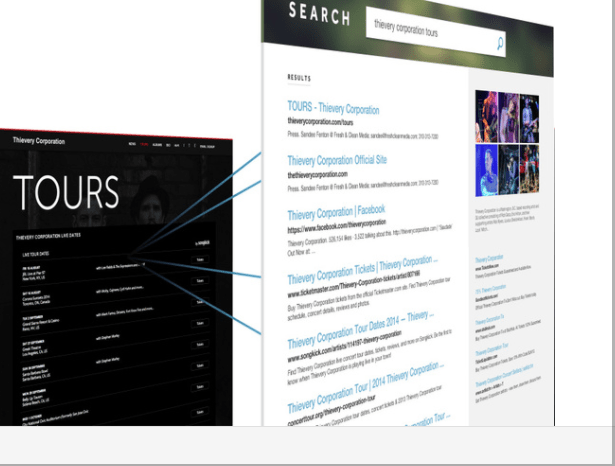 All templates are responsive, so your website will be optimized for mobile, tablet, and desktop. The people behind this builder focus a lot on intuitiveness – you can see this from the idea of content blocks, one-click publishing, responsive images, customizable galleries, mobile responsive templates, and more. All these, facilitated by an easy to use drag and drop interface, make building a website a complete breeze and a load of fun too. The guys behind SpaceCraft have also done an awesome job with the search engine optimization tools including canonical and legacy URLs, rich snippets, and micro-data for improved visibility on major search engines. While SpaceCraft lacks its own site analytics tool, Google Analytics integration works just fine and provides a wide array of important website metrics. The lack of a proprietary e-commerce feature is a disappointment, but seamless integration with a third party app such as Shopify is possible. Professionally designed templates: There aren’t too many templates to choose from here, but the designs are appealing for any business type. You can select one of the pre-made templates or create your own from a blank template using the available developer tools. Customize to your style: Customization is a major selling point for this builder. You can apply Custom CSS with the built-in editor to tailor the look of your website theme without worrying about theme updates interfering with your customizations. Everything from the colors, layout, images, text, and more and can be customized. With over 100 curated web fonts to choose from, there is no excuse for building a dull website. Responsive: SpaceCraft takes mobile seriously—all templates are responsive so your website will look good on any resolution and device. Advanced SEO Tools: SpaceCraft makes SEO easy with its advanced optimization tools that you can add to your website in a snap. You have access to everything from title tags, keywords, descriptions, image alt text, legacy and canonical URLs, Google sitemaps, and webmaster tools. Third-party App Integration: App integration adds functionality to your website and SpaceCraft is big on this. It is impressively easy to add contact forms, social media, commenting platforms, analytics, and reservations to turn your website into a one-stop shop. Few site builders offer true seamless integration of third-party apps, so the fact that SpaceCraft makes this entirely possible is a big plus if you are looking to add greater functionality to your website. Website Management Tools: One of the best aspects of SpaceCraft is the ability to have more than one person contribute to developing, designing, and editing your website. This feature is only available on the Premium, Professional, and Concierge plans, but it really comes in handy when it is necessary to multiple people managing your website at different levels. Other valuable site management tools available include a content auto-save feature, intuitive design panel, and a code editor that helps to add custom CSS to any of your designs. 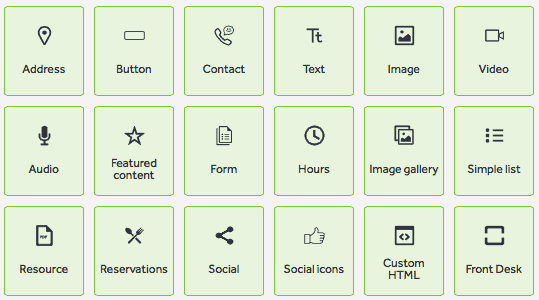 SpaceCraft’s content blocks are ingenious and make content management easy and intuitive. All of the pre-designed pages come with straightforward content areas where you can place videos, audio, image galleries, contact forms, text, and more. You have the option to create your own pages and to include your preferred content blocks, but this requires coding skills. A quick look at SpaceCraft’s website tells you that the guys behind this builder are pretty serious about their commitment to the end customer. The website provides information on everything you need to know about the different features you can use to build your website. It is disappointing that only Concierge customers, i.e., those on the most expensive plan, have access to live support. Nonetheless, other customers have reliable options of phone, email, and online support in the form of a detailed knowledge-base including video tutorials. If you need or want comprehensive design help with building your website and optimizing it for search engines, this consulting help is available for an additional fee. Kudos to SpaceCraft for its 14-day free trial that does not require you to enter your credit card information; this is certainly rare. The hosted plans offered include Basic, Premium, Professional, and Concierge. The Basic plan comes with 20 publishable pages, blogs and galleries, unlimited bandwidth, 1GB storage, a mobile-optimized website, free custom domains for annual (instead of monthly) purchases, blank templates, and online customer support. The Premium plan upgrades you to 5 publishable pages, blogs and galleries, 50 GB storage, up to 5 user accounts, pre-designed templates, third-party app integration, up to $100 in Adwords credit, developer tools, and online support. The Professional plan offers unlimited pages, blogs and galleries, unlimited bandwidth, storage and number of user-accounts, real-time analytics, advanced tools for SEO (Search Engine Optimization) and design, and all the other features offered on the Premium account. The annual Concierge account is the most expensive. It comes with everything from the Professional plan and includes live customer support and DNS (Domain Name System) management. I don’t really understand why SpaceCraft is still not a well-known site builder – there are a lot of hidden gems to discover and use here. Whether you are a developer or a Do-It-Yourselfer with zero coding skills, SpaceCraft offers an extensive set of awesome customization tools to give you the freedom to design your website to your personal tastes and style. This builder is relatively expensive compared to some of the others, but with some very solid features and dependable customer support to boot, the costs may very well be justifiable and a good investment. Може би се чудите какви са предимствата и недостатъците на SpaceCraft в сравнение с други уеб редактори? Въведете който и да е друг уеб редактор и ще направим нагледно сравнение на двата един до друг.